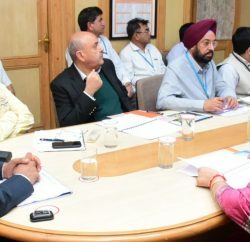 After disastrous landslide on the Mandi-Pathankot National Highway, Minister for Road Transport, Highways and Shipping has directed NHAI to include soil stabilization, land protection wall, zeo static and slope stabilisation in all the DPRs for constructing national highways in Himachal Pradesh. Earlier Sunday, landslide had struck at Kotrupi along Pathankot-Mandi National Highway and buried 2 HRTC buses and few other vehicles that killed over 50 people. Teams of NDRF, Army, Police and Home Guards were deployed in the rescue operation. Fragile strata of Himachal Pradesh is prone to landslide in monsoon season and properties worth crores damaged every years. 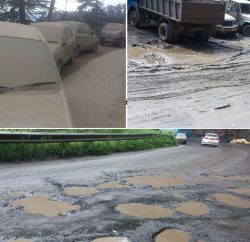 Over the year, illegal felling of green trees and unscientific excavation to make roads, hydro projects have further loosen the strata, and every year posing great risk to the inhabitants and commuters. Beautiful landscape of Himachal Pradesh are inviting lakhs of tourists and thus congesting roads of the state. To easy the traffic, the government has initiated widening of most of the road projects and subsequently increases the risk of disasters. 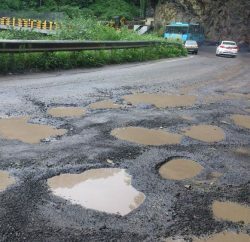 Frequent landslide on roads to Kullu-Manali, Dharamshala, Shimla, and in Kinnaur district are the example of it. Few days before Shimla Chandigarh NH were closed for hours after a huge landslide struck near Parwanoo. Road from Mandi to Kullu is also witnessing frequent landslide near Hanogi Mata temple and posing threat to the commuters. Kotrupi like disasters are not new for the state, and increasing cases of such calamities are eye opener for the government, planners and geologists to think before initiating such projects and also raising many questions over the which model of development we need and adopt for our future.